Duck Fat, Bucket Container 8 lb. 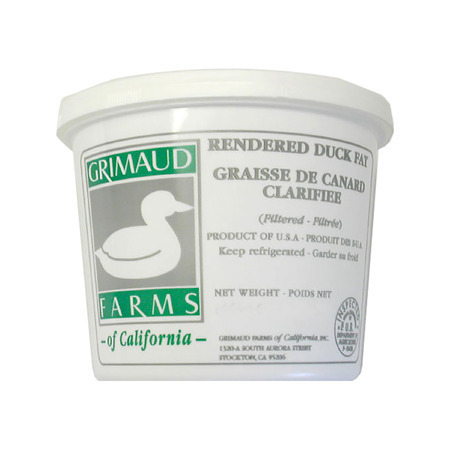 description: Rendered Duck Fat - 8 lb/3.7 kg by Grimaud Farms, USA. This pure rendered duck fat is the key to great confit but it is versatile as well. Give a new dimension to sauted food; try in with potatoes and discover flavor. Ideal for food service businesses.